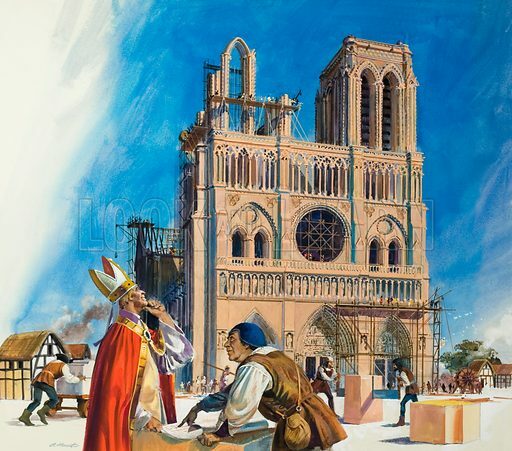 Abbot Suger and the Building of the Abbey of St Denis (probably). Original artwork for Look and Learn (issue yet to be identified). Available worldwide for immediate download up to 4,264 x 3,752 pixels.